Will gas become a better business than oil again? On paper, Colombia has about 11 years of gas reserves. But the production forecast shows shortfalls occurring very shortly. Getting investors to search for domestic gas should be a regulatory priority but a better gas netback would also help their decisions. Whose Nature Is It Anyway? This week we have a thoughtful (and beautifully written) reflection by Luis Pacheco on the great controversy of our industry: the struggle to find a balance between development and conservation. MinAmbiente Ricardo Lozano’s set phrase – produce while conserving and conserve while producing – sounds great but reality is far more complex as Luis shows us here. 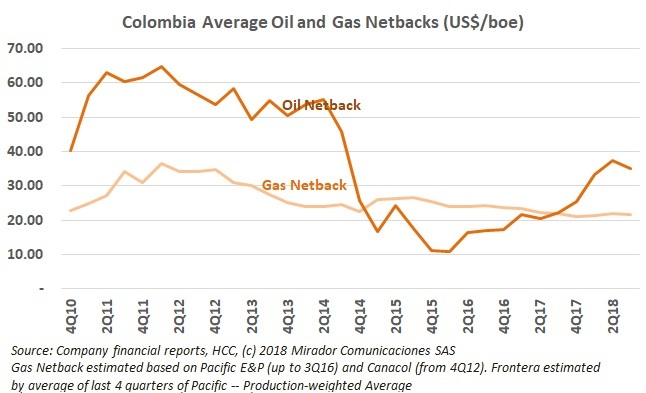 The results for Colombia-focused companies are published, so we updated our statistics on oil prices and netbacks. It was not a great quarter but not a bad one either. 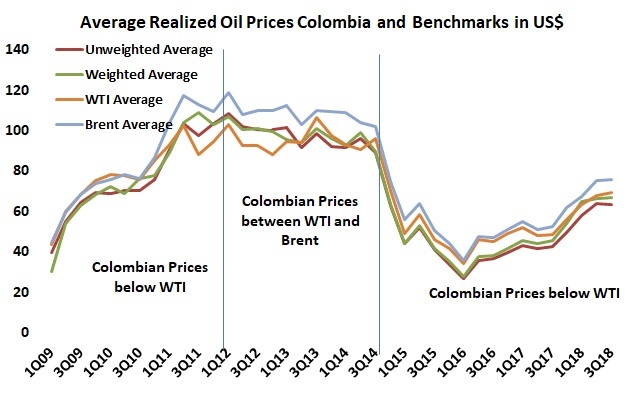 As always, individual results may vary; we are looking at Colombian averages. The recent First Oil and Gas Summit was an opportunity to answer two important questions: how is the industry doing and are the government and the industry on the same page? Last week’s article updating our oil price and future’s charts gave the Analyst an inspiration. Unfortunately, the ‘muse’ appeared just when he was already up against the deadline so it had to wait for this week. Who is on the MinMinas ‘Committee of Experts’? The Minister of Mines and Energy (MinMinas) announced that 10 experts will define the future of fracking in Colombia. We looked at who was appointed, what might be known about their pre-conceptions and what the implications might be. 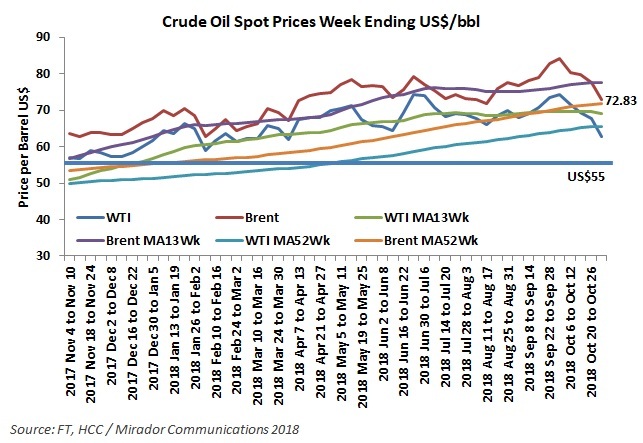 We usually update our oil price graphs at the beginning of October but we had other things we thought were more timely. 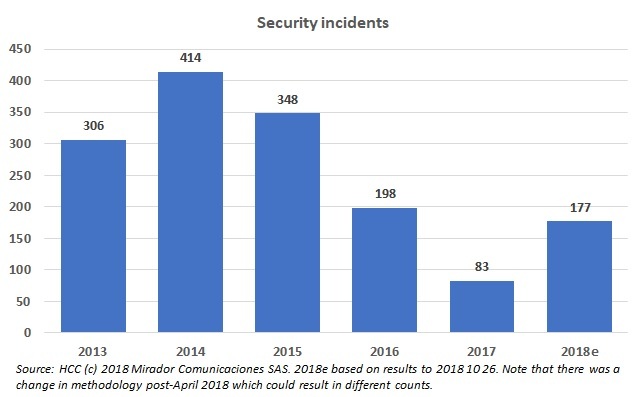 However, by publishing at the end of the month, we captured the slide that has taken place. Trick or treat? Boo! The government policy topic of the quarter for oil producing countries is economic diversification. The IEA says they cannot count on oil revenues and so need to find new sources relatively quickly. 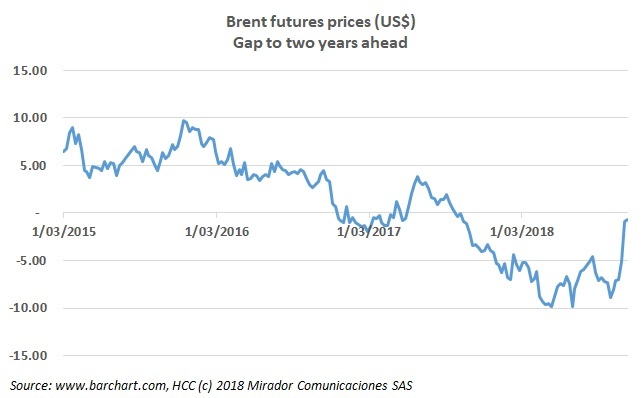 Colombia is not an ‘oil country’ but the same debate runs here.